Our company is run from the headoffice in Denmark. We have a daily contact to our nursery staff in Costa Rica. The production is in Costa Rica. 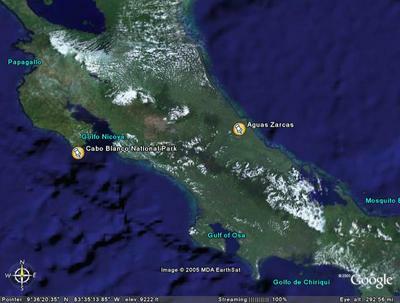 The map shows Costa Rica bordering Nicaragua to the north and Panama to the south.  Click on the images to enlarge. 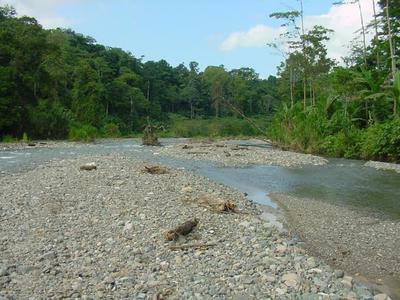 The rainforest is located in Aguas Zarcas at the Caribean Coast close to the City of Limon. 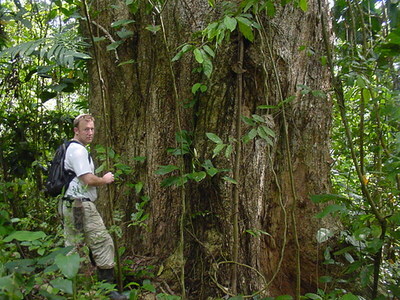 Although most of the forest is secondary, we find giant Javillo-trees. The height of these giants is 40 meter - and the trunk is 3,5 meters thick. Even the natives consider these trees special - and we are very proud to have them and be able to conserve these trees and the forest enviroment around them. The hydrology of the area is essential - and everywhere you go, there is a sound of running water. Springs, creeks and small lakes are spread all over the forest. 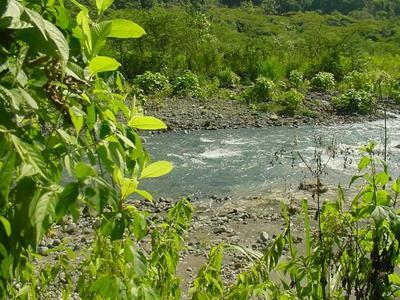 Rio Elenita is a 200 meter natural borderline on our property. This small river is in the rain season aprox. 5 meters wide - and in the dryseason just a small creek. The big rivers, Rio Banano and Rio Aguas Zarcas are also near by. 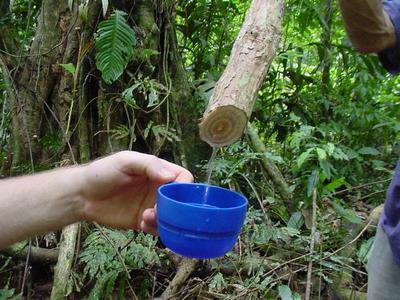 The "Water liana" is nice - when you need a refreshing drink of pure water. The river has made a small canyon. In the riverbed we find footprints from deer, cats and reptiles. This place is fantastic for birdwatching - we also meet the Iguana here.